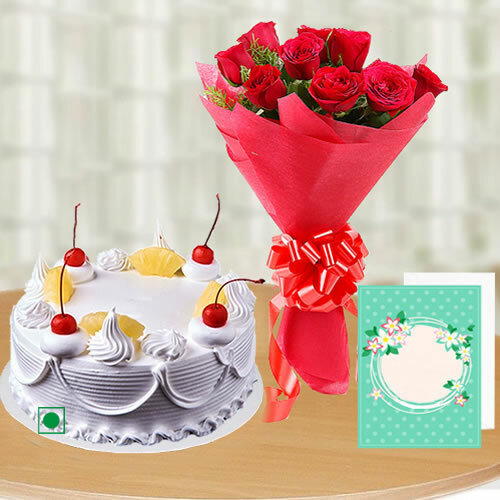 If you are thinking of making your partner feel special on your anniversary, his or her birthday or any other special occasion you should just send 12 roses with cake and card Jaipur. When you buy cake, roses and card combo, you are buying a complete happiness package. Just order cake combo as soon as possible so that the cake delivery can be made sooner and you can surprise your partner. The cake online order can be made easily with the help of Gift Jaipur. In most bakeries, it is difficult to find eggless cake. So, if you require one, order from us as we sell only eggless cakes.